Boba tea is a popular trend across the world, but did you know you can make your own? Use your Instant Pot to make Iced Boba Tea. Easier on the pocketbook and you can control the amount of sugar you put in your homemade Instant Pot Boba Tea. 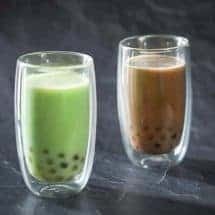 Have you ever tried Boba Tea? You know, those cute little tapioca balls that taste amazing and take ordinary iced tea into something magical and delightful? If you don’t, you really need to try them out! 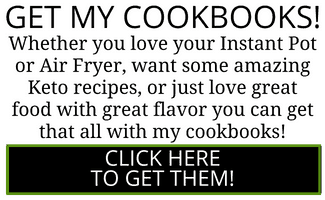 If you do, you’re going to love that I figured out how to make them in my Instant Pot so you can stop spending your life savings at the Boba Tea shop. You can normally find the large boba or tapioca pearls at Asian Food Markets, or when in doubt, do what I do and shop on Amazon for boba pearls. These were the boba pearls that I bought. It saves me an unnecessary trip, and I know they will have them in stock and be on my doorstep in 2 days. HOW LONG CAN I STORE THIS INSTANT POT BOBA TEA? So what I’ve learned is that the boba doesn’t store all that well. You can increase their lifespan a little by storing them in the sugar syrup, and then draining the syrup afterwards. But the best thing to do is to only make enough for one day. Frankly, I think that’s a great excuse to have even more Boba tea at a time! The other thing I found out the hard way is that they don’t refrigerate all that well. They get a little weird and chewy–and not in a good way. What works for me is to just make enough for one day and given how fast it is to make Instant Pot Boba tea, it’s not a hardship to make it again. And again. Want to make the best Iced Tea you’ve ever tasted, right from your Instant Pot? 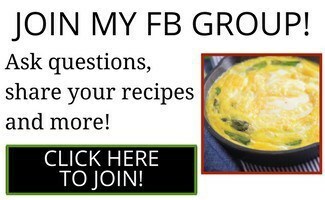 Use my recipe!! Or check out this Instant pot Masala chai recipe for your Boba tea base. Boba tea is a popular trend across the world, but did you know you can make your own? Use your Instant Pot to make Iced Boba Tea Easier on the pocketbook and you can control the amount of sugar you put in your homemade Instant Pot Boba Tea. Place the boba pearls, water and sugar in the inner liner of your Instant Pot. It is important to use sugar in this recipe, as the boba need to rest in a sugar syrup in order to stay chewy and pliable. Cook at high pressure for 2 minutes. Allow the pot to sit undisturbed for 5 minutes, and then release all remaining pressure. When you open the lid, you will see some mighty big boba floating around. These will settle down to a much more manageable size as they cool. Do not refrigerate the boba. Allow them to cool in the liner, or pour them out into a mason jar and let them cool, about 15-20 minutes. The boba can be kept in the refrigerator in this sugar syrup for a few hours, but the really don’t store very well. Which is a great excuse for eating them all up actually, so that works out. Meanwhile, mix together the tea, sugar, milk and ice cubes and shake to chill the tea. 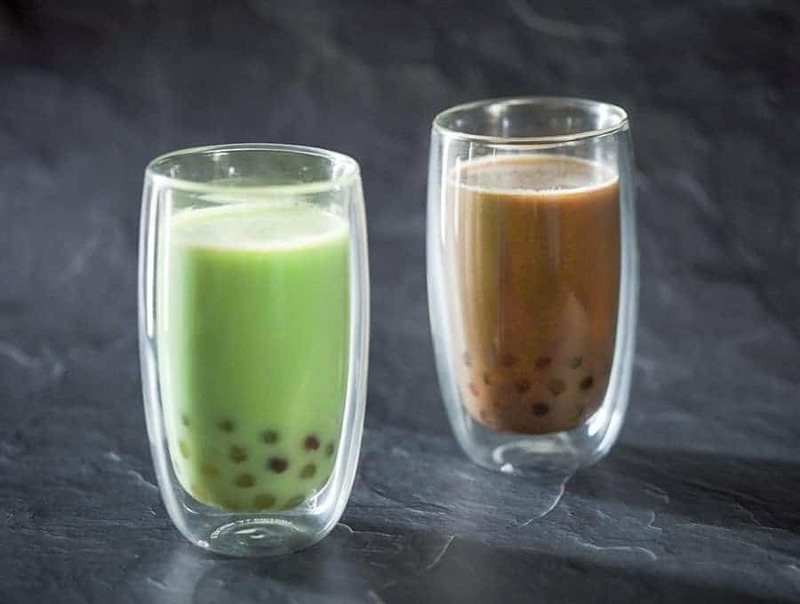 Divide the boba amongst four glasses, cover with tea and serve. I don't trust the nutritional info for these as my software only had tapioca pearls not boba pearls. Please use the information on the packet you buy. You can also use coconut milk with vanilla or pandan as your base liquid for the pearls rather than tea. 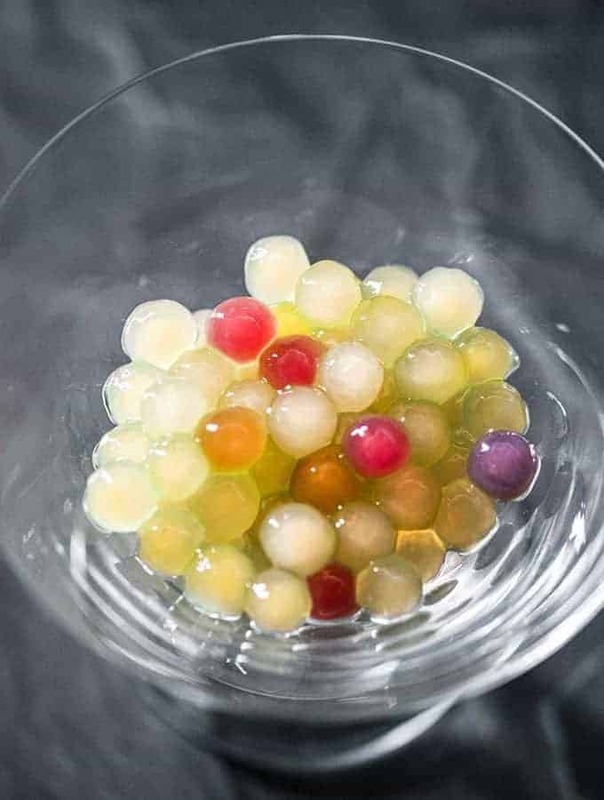 Note: this recipe is NOT for the regular “non-instant” type of boba or tapioca pearls. If the package does not say that it can be cooked normally in 10 minutes or less, this method will not work. It will end in a jumble of cooked/uncooked tapioca pearls and bits with quite a lot of mush in between. Ah, I wish I had read your comment BEFORE trying the recipe myself. A whole lot of sadness indeed! Yes, a pot of sadness, indeed! I’ve made this recipe numerous times in the last month and I’m so pleased! Absolute perfection every time. For what it’s worth, I threw out the boba leftovers the first time. But the second time, I put leftover bobas (including cooking liquid) in a glass canning jar and stored in the fridge. The next day, I heated that jar (without lid, of course) in the microwave 1 min, stir, heated 1 more min… and the bobas were almost as good as new! Also, our local Thai restaurant serves “tapioca freezes” which are fresh fruit slushies served with a scoop of bobas in the bottom of the glass. 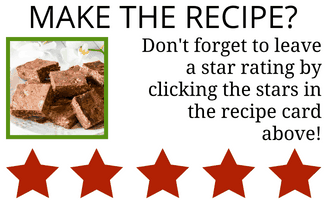 This recipe of yours saves me approximately $3 every time I want a treat, plus I can control the sugar levels a bit. So exciting! What kind of tea did you use? Thanks, want to make this for my kids!! Well I used plain old black tea with milk. But if you’re making for younger kids chocolate milk would be good too as would strawberry milk. 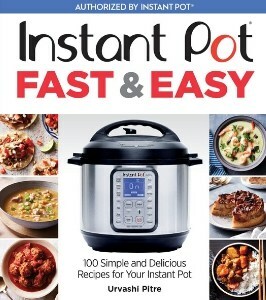 Can I half this recipe in my Instant Pot?? ?